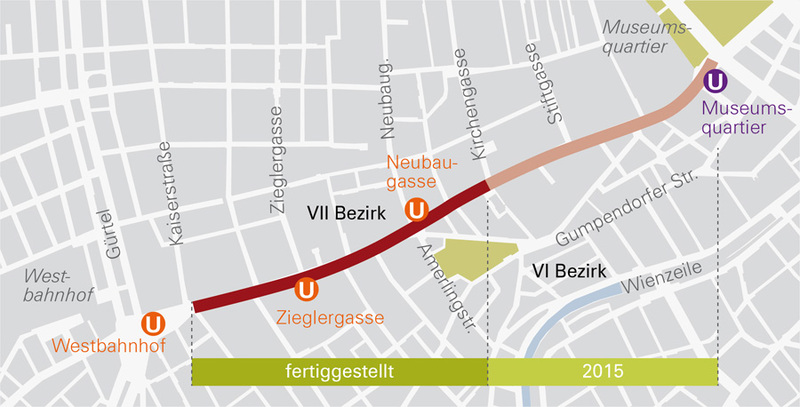 Up to 15 November 2014 section 2014 (Kaiserstrasse – Kirchengasse) is to be completed. 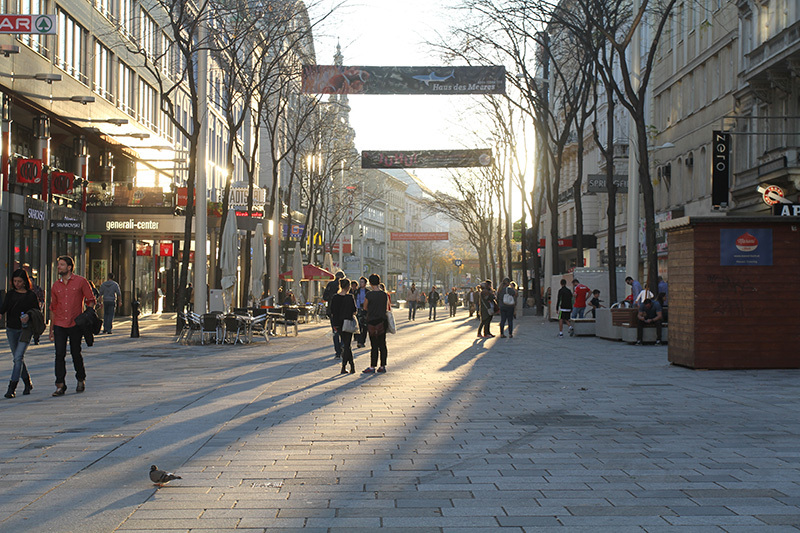 The surfaces in the pedestrian zone (natural stone) and the road surface in the shared space (natural stone) were newly designed. Existing concrete slabs were reinstalled in the footpath area of the shared zone. Furthermore a guidance system for the blind, new furniture including green space, bicycle stands and additional furniture were integrated into the road space on both sides. Lighting was renewed and the existing masts were newly painted. Parking spaces and regulations including service points will be established soon.